Whether you are a coach, judge, school teacher for gymnastics or performing a club role, our aim is to provide the expertise you need. Here you can explore courses and qualifications we've developed to help you perform your role to the highest standards. 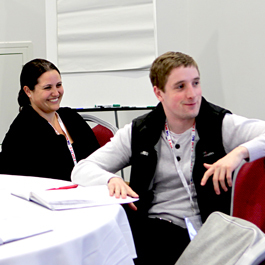 Our courses are recognised nationally and internationally. If you know what course you want, jump to our quick course finder. After successful completion of this course and assessment you will be able to support participants working towards more advanced competitions. You will be able to coach participants in various twisting double somersaults, and will understand the physical preparation required to successful develop these skills. You will also understand the relevant coaching theory that will assist you to be effective in your role as a Performance Coach. This course will qualify you to be an assistant coach for aerobic gymnastics. Aerobics gymnastics is a thrilling discipline to coach. Participants perform dynamic routines made up of jumps and leaps as well as strength and balance elements. Your role is to help support and develop these skills for participants to enjoy. You get to work with mixed aged groups, both male and female participants, and form exciting partnerships. A level 2 qualification is the second stage of the coaching pathway for this discipline. As a level 2 coach you will be able to work independently to help participants develop their skills, strength and co-ordination. You are able to lead your own sessions, mentor and oversee fellow coaches, and open your own club. You can also help participants develop the skills required to compete in entry-level competitions. 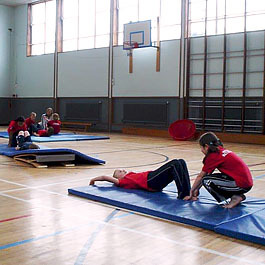 You will need to have already completed a UKCC Level 1 Tumbling Gymnastics Award.